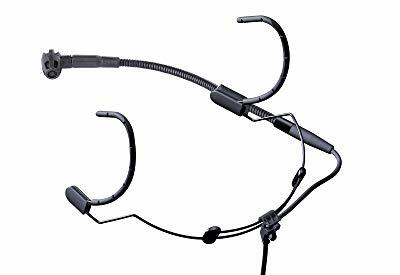 Headset microphones are a neat solution for musicians, dancers, and actors who also need to perform singing duties. They leave your hands free and let you move without restriction around the stage and without having to worry about your position. If you are looking for a quality headset microphone, take a look at my favorite picks. The PGA31 from Shure is one of my favorite budget-class headset microphones. It offers fantastic quality to price ratio, a great solution for musicians who play at small to mid-sized venues. The PGA31 is a wireless set and it’s compatible with the majority of Shure’s body packs. Thanks to the highly flexible wireframe construction, this mic is very comfortable to use. The gooseneck design lets you adjust the microphone position for maximum source isolation, while the windscreen filters out plosives. Shure’s PGA31 has a quality condenser microphone which relies on the body pack for power. It delivers crystal clear vocals, being equally good for speakers and singers. The microphone is a bit on the robust side for a wireframe headset, which makes it somewhat unsuitable for situations where stealth is paramount. The microphone is a unidirectional cardioid unit with an impressive frequency response for its price point. It is great at blocking out unwanted noise and has a clean delivery even at high volumes. The SM35 competes in the intermediate category and is one of Shure’s best headset mics for singing in my opinion. That being said, the SM35 is among the bigger and more robust wireframe sets, which tilts it towards users who don’t need super stealthy mics. It’s available wired (SM35-XLR) or wireless (SM35-TQG), the latter of which is compatible with Shure body packs. Despite its size, the frame is flexible and comfortable to wear. It comes with a quality gooseneck which allows you to position the mic however you want. The SM35 has a condenser microphone with unidirectional cardioid pattern. The tight polar pattern profile allows it to capture your voice with crystal clarity, while blocking outside noise with ease. This makes the SM35 a great companion for big and loud stages. The microphone is a bit large and comes with a clip-on windscreen. This is a high-quality headset mic and a true workhorse. It is made for musicians who value performance and reliability above anything else. On the other hand, it might not be the best headset mic for performers looking for more discreet headsets. Pyle-Pro’s PMHMS20 is one of the most affordable headset microphones on the market. 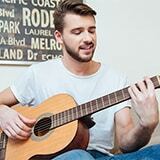 It is a viable option for musicians who operate on a tight budget. The PMHMS20 is sold as a wired set with standard XLR connector, but it also has a 4-pin XLR connector for wireless connection. If you decide to go wireless with this one, note that it is compatible with Shure’s body packs. The PMHMS20 rocks a super-light metal frame with high adjustability. The gooseneck microphone extension is also very flexible and allows you to position the mic to your liking. The frame comes in a flesh-toned beige color and can easily blend with various skin types. Thanks to its discrete design, the PMHMS20 is great for occasions where stealth is a priority. The microphone on this model is an omni-directional electret condenser unit rated at 130dB SPL. Due to the omni-directional polar pattern, this mic is not the best solution for settings with high levels of background noise. The frequency response ranges from 20Hz to 20kHz, and the output impedance is 2000Ω. The intermediate class is the most heavily contested section of the headset microphone market, and the C520 is AKG’s premier candidate in this class. It is a lightweight wireless set, which makes it suitable for dancer/singers, instrumentalists, as well as actors. The 4-pin mini XLR connector makes it compatible with Shure body packs. 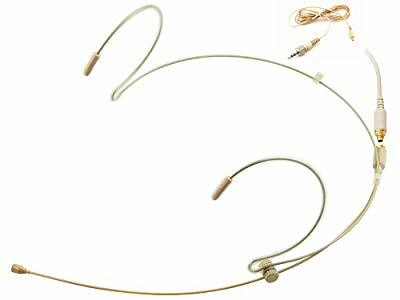 Construction-wise, this headset mic has a sturdy and lightweight wire frame. Once positioned, it stays in place without being too tight or uncomfortable. The gooseneck mic extension is fully adjustable and keeps the mic in place with ease. Another cool feature of this amazing set is that you can attach the microphone on both the left and the right side. The stellar transducer element microphone is, in my opinion, one of the strongest points of this great set. The unidirectional cardioid polar pattern is extremely effective at filtering out unwanted noise. The transducer features a shock mount to minimize body noise. The C520 is great for both small pub gigs and concert halls. 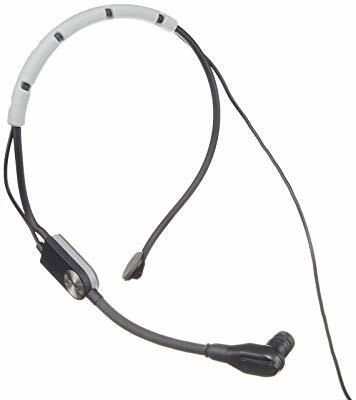 The MIC-J 071S is an inexpensive headset from JK Global. It is a wireless set, made for use with Sennheiser’s Evolution line of body packs. Compatible models include SK D1, EWD1, G3, G2, X2, and Line 6. The first thing you’ll notice about the MIC-J 071S is the thin wire frame, with a wire diameter of just 1.2mm. This gives it a super low profile while the beige color makes it virtually indistinguishable from skin. The gooseneck extension is fully adjustable and holds the mic firmly in place. This headset mic comes with a minute transducer element of 1.5mm diameter and -47dB (+/- 2dB) sensitivity. The polar pattern is omni-directional, which means the microphone will pick up sound equally from all directions. This might be a problem if you’re on a loud stage or close to a monitor speaker. The microphone’s rated frequency range is 20Hz-20kHz, which is pretty standard fare for a headset mic. The sound quality is more than decent for the price, though the MIC-J 071S can’t compete with the more expensive professional-level equipment. That said, your safest bet would be to use it for quieter settings and gigs. This is also a good option for actors playing in musicals. Selecting the right headset microphone might be tricky, as there are numerous things to consider. Some of them include the directionality of the microphone, connection type, construction quality, comfort, and more. Let’s take a look at what separates the best singing headsets from the rest. Headset microphones, like all other types of microphones, can be unidirectional (also called cardioid), bidirectional, and omni-directional. Unidirectional models only pick up sound from the front. They are the most popular type with performing musicians and actors, as they offer the best protection from background noise. Bidirectional microphones are rarely found on headsets, with the market being mostly split between cardioid and omni-directional models. These microphones pick up sound from the front and the back, but not the other directions. Omni-directional units, however, pick up sound from all directions. Due to the poor filtration of ambient noise, they are not all that popular with actors and musicians. When it comes to connectivity, like their conventional counterparts, headset microphones come in two major variants – wired and wireless. There is also a percentage of hybrid models which work with both connection types. Wireless models usually have a short output cord which goes into the body pack. The most popular brands of body packs are Shure and Sennheiser, and wireless headsets are usually compatible with at least one of them. Wired headset sets, also known as direct, feature longer output cords and are intended to be plugged directly into a mixer. Wired headsets grant the users less mobility than their wireless counterparts. The construction is another thing to consider when choosing the right headset microphone. The robust and heavy models will generally have a longer life and be more resilient to wear and tear. They will most likely be outfitted with larger microphones and windscreens. They are recommended for settings where stealth is not that important. On the flipside, some users might find them too heavy for prolonged use. The super-light models are made to fit in seamlessly. They are often finished in beige to mimic natural skin complexion, and they have very small microphones. While great for TV performances and other settings where stealth is a must, super-light headsets often lack sturdiness. There are quality microphones on both sides and the choice is up to you, which should depend on your preferences and needs. 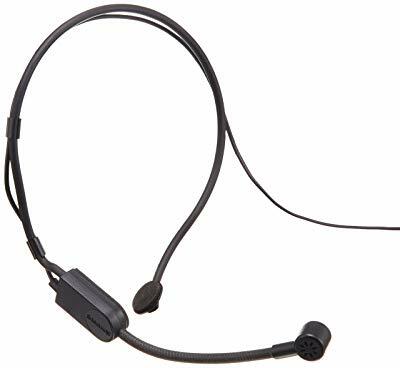 Headset microphones are a great solution if you need to move around the stage or play an instrument while you’re singing. If you’re on the hunt for your next (or first) headset mic, be sure to check out some of these. Thanks for this page. It’s very helpful. 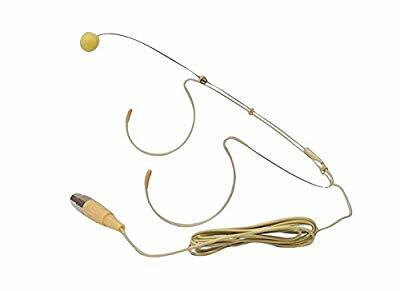 When I finally buy a headset mic for onstage (small venue) vocals, this will be my first. I hope they’re gentle. What I haven’t found yet is any site talking about using a headset mic and in-ear monitors. It seems they both want to secure themselves on top of the ear. Is this a problem or is this common? Any thoughts will be great appreciated. Hi Kevin, glad you found this useful. Regarding your question, it’s usually not a problem.